Ryan Giggs took out an injunction earlier this year to prevent the news of his affair with Imogen Thomas from being made public. The injunction only applied to English and Welsh media, and Giggs was named by the Scottish newspaper the Sunday Herald two days ago. Yesterday, MP John Hemming used parliamentary privilege to name Giggs in the House of Commons: "With about 75,000 people having named Ryan Giggs on Twitter, it's obviously impracticable to imprison them all". This opened the floodgates, and today's newspapers have all named Giggs despite the injunction. Apichatpong Weerasethakul will host a four-hour film masterclass, titled ตัวตน โดย ตัวงาน, at the Thai Film Archive (in Salaya, near Bangkok) on 14th June. 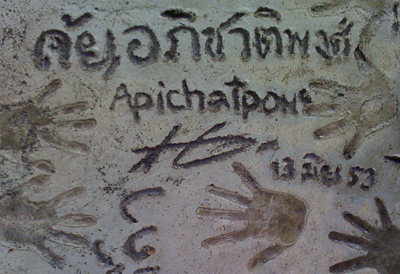 Apichatpong last appeared at the Archive almost a year ago, after winning the Cannes Palme d'Or. He has previously given shorter lectures in 2010 (Indy Spirit Project) and 2008 (Apichatpong On Video Works). His best-known films are Uncle Boonmee and Syndromes & A Century. Phenomena & Prophecies, a retrospective of Manit Sriwanichpoom's photographs, opened at G23 in Bangkok on 23rd April. The exhibition will close on 18th July. 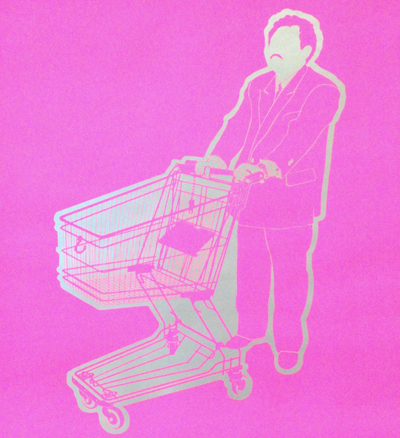 Most of the images feature Manit's trademark 'Pink Man', the conspicuous consumer portrayed by Sompong Tawee, including the truly shocking Horror In Pink series (shown previously in From Message To Media). (At the opening reception, Sompong posed for photographs with visitors.) There are also portraits of soldiers posing for snapshots after the 2006 coup, ironic commentaries on politics-as-spectacle that echo Manit's recent contributions to Rupture. Manit is one of Thailand's most celebrated contemporary photographers. Flashback '76 was arguably his most powerful solo exhibition; his work has been included in numerous group exhibitions, most recently Dialogues.